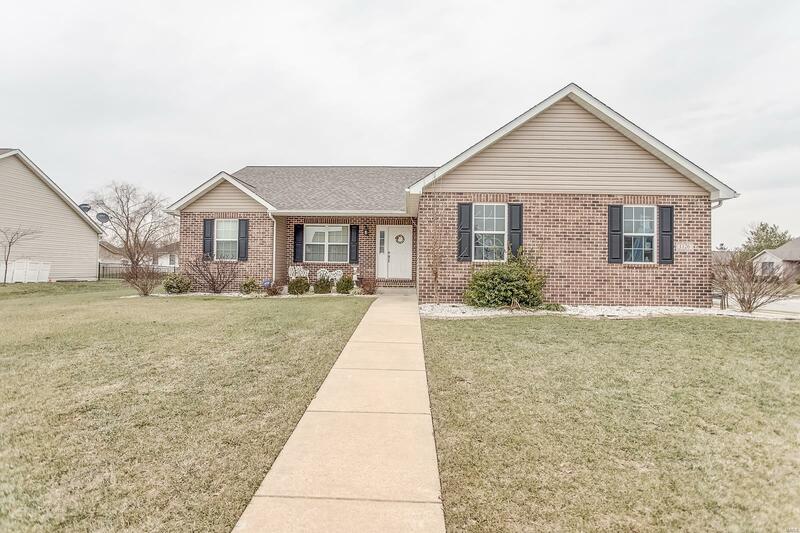 Youâll love this one story home in Mascoutah. Nice landscaping, a large corner lot and side loading garage are a few of the features included. A great floor plan features vaulted ceilings in the large living room which is open to the stunning kitchen. Youâll find lots of cabinet space, granite counter tops, ceramic floors, gorgeous white cabinets and an island that looks into the living room. A large master suite features a walk in closet, tub and separate shower and double bowl vanity. There are two additional bedrooms and a hall bath. A real bonus is found in the finished basement. There is a huge family room, a full bath and a 4th bedroom. Outside youâll enjoy the large fenced yard and large patio perfect for BBQ's. Donât let this one get away. Call for your tour today! Buyer to verify all information.